Alex Tsai embraces a minimalistic design aesthetic, transforming his own interpretation of nature’s designs into pocket-size sculptures. Alex’s signature style can be described as the “art of simplification”. He strips away the multitude of details, leaving a silhouette that is figurative enough to comprehend. The overall depiction remains pristine, leaving a margin for viewers’ own interpretation. The designer’s creative mind gives new life into traditional silversmithing techniques. His pieces flaunts a stunning palette produced solely through technical processes. 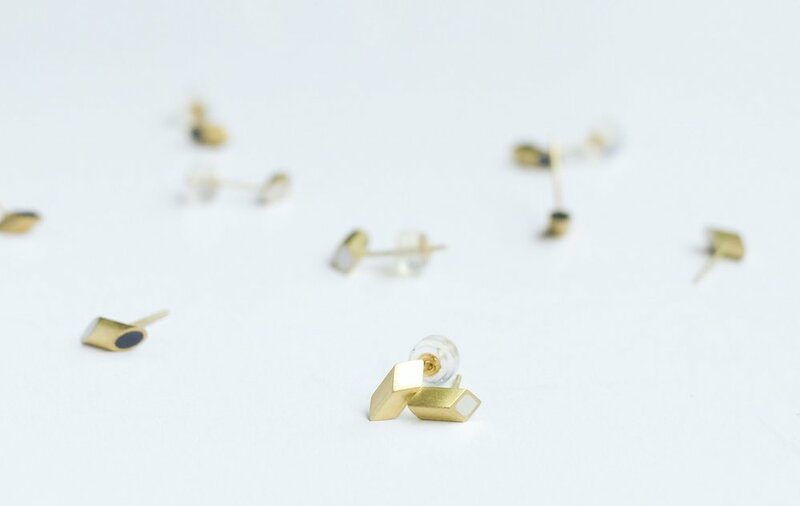 While most jewellers will employ alternative methods to diversify the colour-tone of their work, Alex adopts the natural hue of different metals to as a celebration of their own allure. The designer presents his own interpretation of honeybee's anatomy in this collection. This series of work showcases elaborate compositions of already intriguing components, lively illustrating the form of its real-life counterpart. An intricate balance between figurative forms and geometric elements marks the unique charisma that is Alex's signature style. Named after King Midas of Greek mythology, this collection bears a glorious, golden exterior worthy of its name. This collection flaunts a stunning palette produced solely through technical processes, adopting the natural hue of 18 karat gold and fine silver to create this series of dual-coloured treasures.